January 25, 2018 in a big hall of the Kazakh State Philharmonic a concert of Tatar music took place. The program was attended by the State Academic Symphony Orchestra of the Republic of Kazakhstan, conductor Nurzhan Baibusinov and soloists Maira Muhammad-kyzy and Filyus Kagirov. 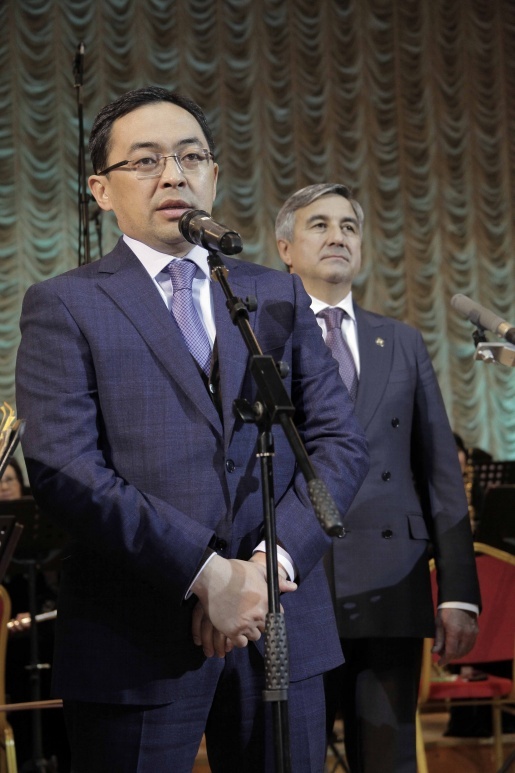 At the beginning of the concert, Deputy Prime Minister of the Republic of Tatarstan Vasil Shaikhraziev and deputy akim of Almaty Arman Kyrykbayev spoke with welcoming words. 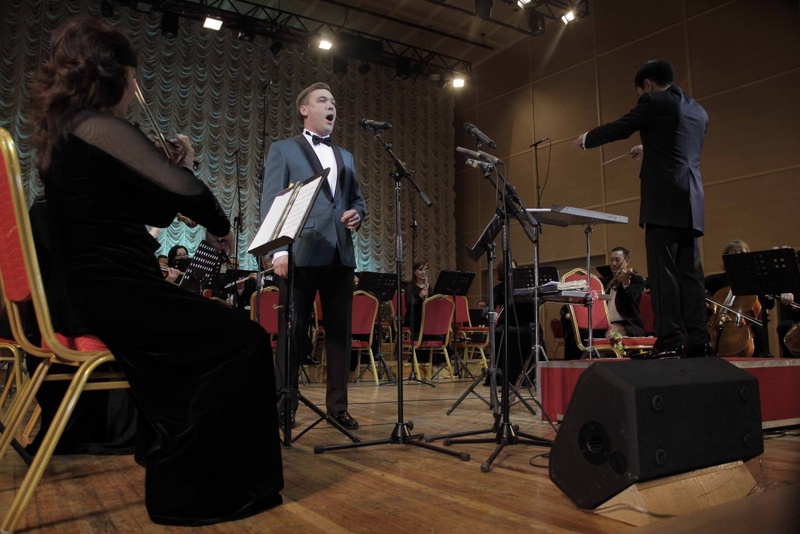 They noted the centuries-old friendship of fraternal Kazakh and Tatar peoples, the close intertwining of history and cultures, and marked a historical significance of this concert. The main idea of ​​the Tatar Music Concert was the inclusion in the program of works by Tatar composers born and worked in Kazakhstan. The audience heard the mesmerizing melodies of the great grandsons of Tatar classical music. Nazib Zhiganov, the founder of the Kazan Conservatoire, is from Uralsk. Fuat Mansurov and Renat Salavatov were born and lived in Alma-Ata. 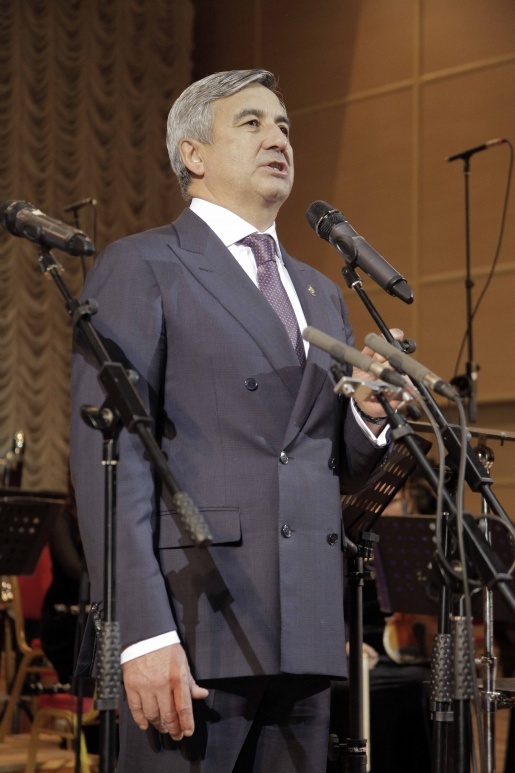 Latif Hamidi is one of the founders of Kazakh classical music. The works by Salih Saidashev had a wide popularity in Kazakhstan. Ballet “Shurale” by Farid Yarullin for many years went on the stage of the State Academic Opera and Ballet Theater named after Abay. From the first notes the soloists of the concert conquered with their skill. Mayra Mohammed-kyzy sang Altynchech aria from Nazib Zhiganov’s opera of the same name, Musa Jalil’s libretto. And her performance of the Kazakh waltz and aria Azhar from the opera “Abai” will remain in the hearts of the grateful public for a long time. On this day the premiere took place. 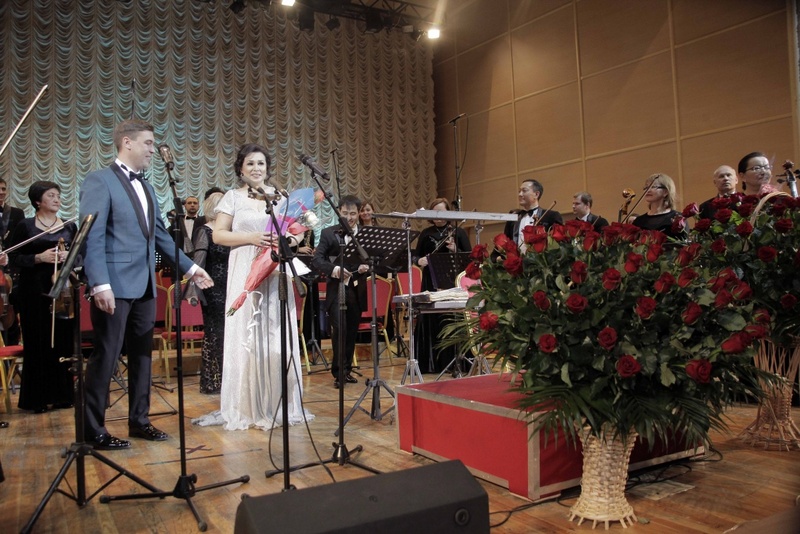 Maira Muhammad-kyzy sang a new song by Rinat Abdulkhalikov “I let you go.” The public warmly accepted the new work, having noted the continuation of the traditions of creating classical works already in the new generation of authors in Kazakhstan. Phylus Kagirov is extremely popular throughout the Tatar world. Fans of Tatar art have long waited for his arrival in Almaty. From the first notes “Kitmya, Sandugach” the room was immersed in soul and heart in the charming magic voice of the maestro, with gratitude listening to his next arias. The evening ended with the song “Tugan tel” performed by the orchestra, Maira Muhammad-kyzy, Filyus Kagirov and the whole audience. The spectators accompanied the artists with ovations, thanked them warmly for the present evening.